I get a lot of email from readers asking, "What do Greeks eat for... [insert name of meal here]?" The answer is that, although there are certain holiday and/or regional traditions, you can pretty much throw out any preconceived ideas of menu planning. When planning a Greek meal, or adding Greek dishes to others on the table, flexibility is the rule rather than the exception. Consider using dishes is new ways. Making a meal of appetizers or mezethes is a long-standing Greek custom. The basic piece of traditional Greek meals is the one-dish meal casserole - stovetop or oven - vegetable, meat, or seafood which, when served in small quantities may be perfect as a side dish or appetizer. Fruits and vegetables served with the meal are called salads (even veggies like broccoli and boiled greens) and can stand alone as meals on their own. Cookies, can be served with coffee and tea, breakfast, brunch, and as snacks. The famous Greek filled pies (spinach, cheese, and others) work equally well as main and side dishes, snacks, and party foods. Greek menu planning rarely follows any hard and fast rules. A favorite light evening meal might consist of french fries with slices of feta cheese. My granddaughter often has a piece of cake for breakfast with her milk (no different than a muffin?). Sunday meals may find the table overloaded with casseroles, grilled or roasted meat or seafood, two or three salads, dips, breads, cheeses, and olives. If there's ever a question about how or when to serve a particular dish, be flexible. For example, I love vegetarian gigantes bean casserole made with giant lima beans. I serve it as a side dish, main dish, and - in small quantities on small plates - as an appetizer or meze. I have also been known to eat it cold, straight from the fridge... the way others might eat a piece of cold leftover pizza. So get creative and be flexible. 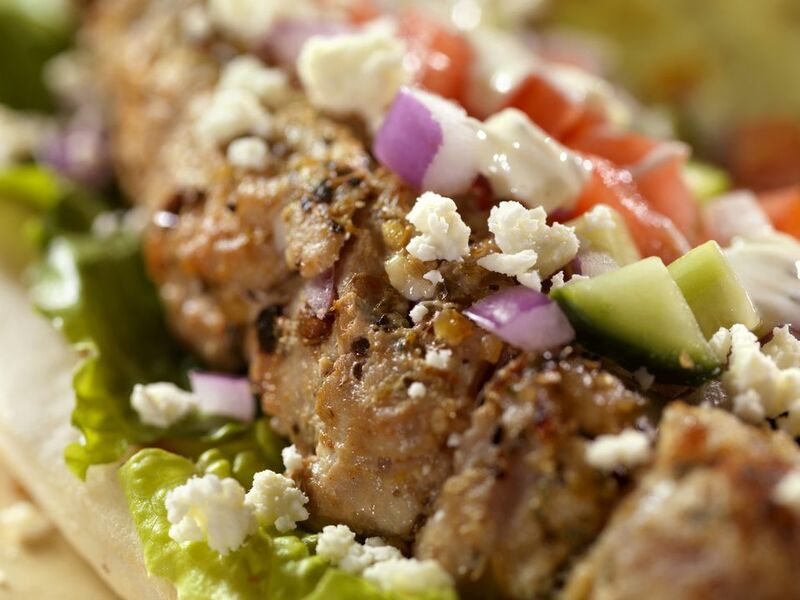 Greek food, whether as an entire meal or additions to your menu, is always a delicious choice!